Hello my lovelies! It's the first Monday in August and I'm on vacation! I slept in and spent part of my morning in bed, but then I rushed to the computer to write this post for you. I really want to blog more this month because I will finally have the time to do nails. Unfortunately my nails are not in the best shape. I reduced them to complete nubs two weeks ago and they didn't grow as much as I expected. Due to the fact that I had nothing prepared in advance for today, you will have to accept them as short as they are. Hope you don't mind! You may have noticed that I haven't been buying a lot of polish lately. I'm trying to be more calculated in my polish choices because I have a huge collection and barely use what I have. I love the China Glaze spring collections though, so I decided to get at least one polish from this year's Road Trip collection. 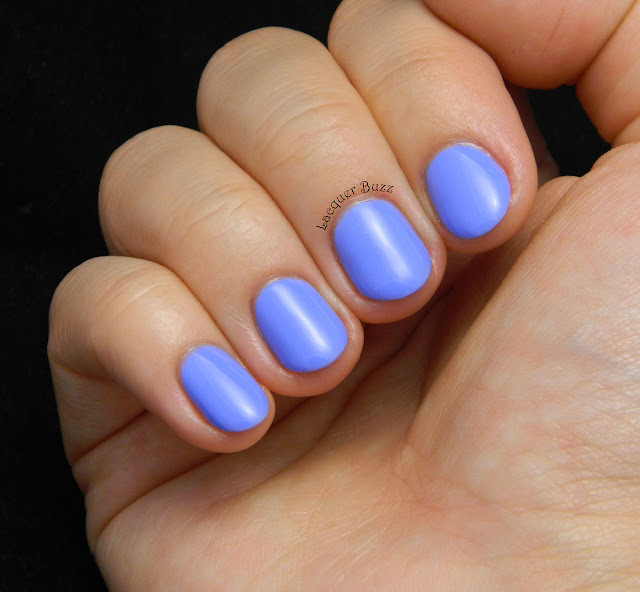 I settled for Boho Blues, a light periwinkle creme. It's not a very original color and I knew there would be dupes in my collection but I got it anyway. 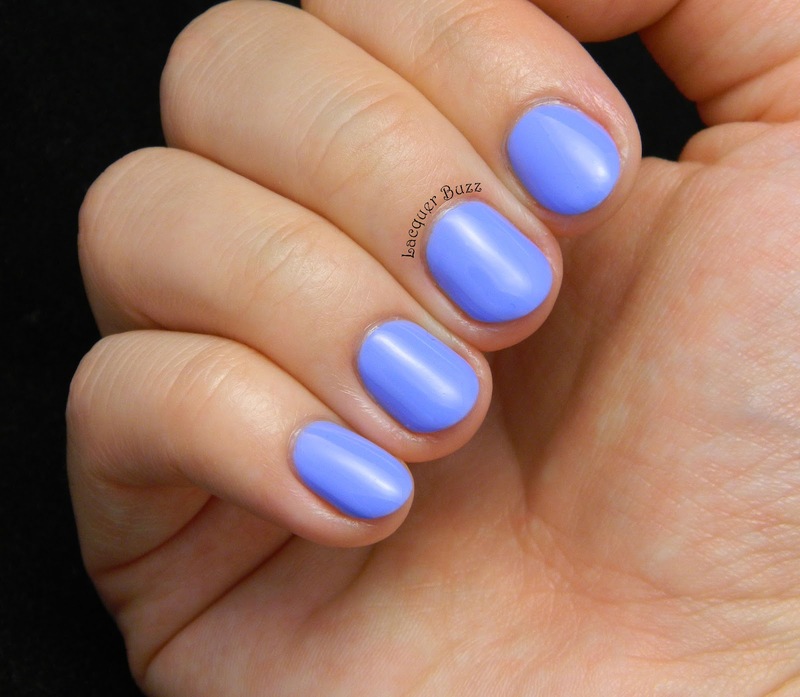 Boho Blues is the lighter and more vivid version of the famous Secret Peri-wink-le and is almost identical to p2 Up in the Air! but without the very subtle shimmer. The p2 polish has a great formula but a terrible brush, while Boho Blues has it the other way around. The brush is the usual thin perfection that China Glaze produces but the formula is not that great. It's thin and sheer, so you have to do thick coats if you only wanna use two. Otherwise, a third coat is mandatory. It dries to a nice shine, which is always a plus. I didn't cover this with any nail art because I wanted to enjoy this beautiful color in all its splendor. I really hope you do too! Hopefully I will have some longer nails to show you next week. In the meantime don't forget to check out the other Monday Blues of August in the links below.